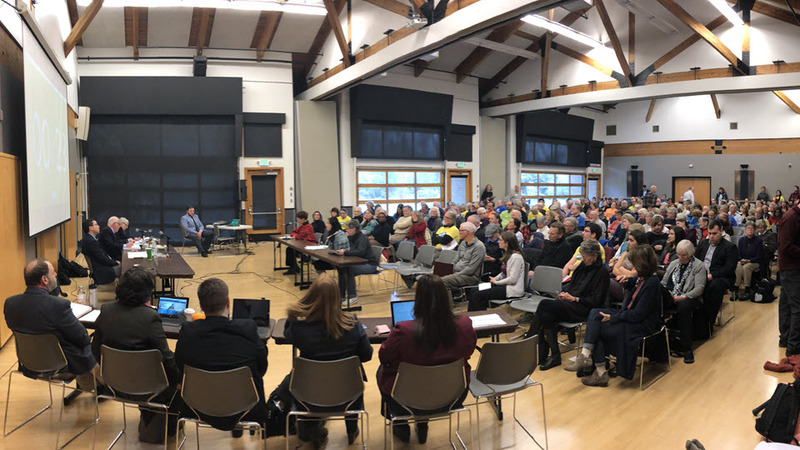 Hundreds of citizens attended a public hearing held yesterday by the Washington Utilities and Transportation Commission. In a large room filled to capacity in the Renton Community Center, the Commission heard unanimous objections to PSE’s long-range plans, including continued operation of dirty coal plants in Montana, continued construction of a large LNG terminal in Tacoma, and intent to build two expensive and unnecessary transmission lines on the Eastside. The message to the Commission was clear. Citizens want PSE to reduce carbon emissions and stop harming communities and the environment. Technological innovations and renewable resources are feasible, but the company seems wedded to outdated solutions that maximize profits for its foreign owners. 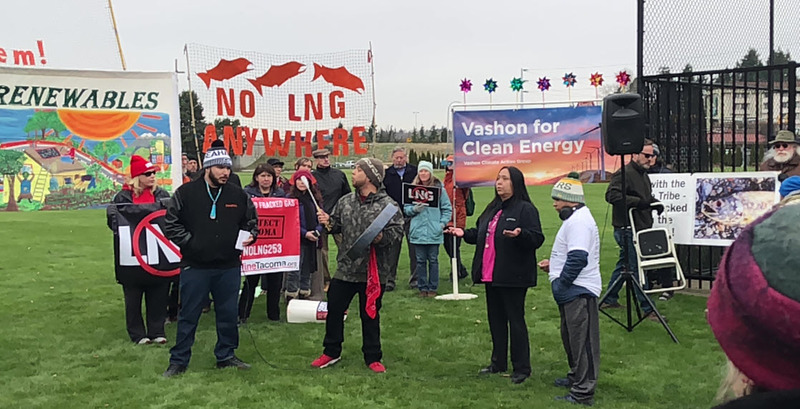 The three Commissioners seemed sympathetic to impassioned and informed testimony provided by environmental groups, elected leaders, tribal representatives, health care workers, and the faith community. As we wait for the Commission’s official response, huge questions loom. What statutory authority does the Commission have to compel PSE to change course? How far will the Commission go? Will PSE listen and take action, or will the company ignore the legitimate health, safety, and environmental concerns of their customers to maximize revenues?